I often hear from people who would love to live in a tiny house, but who don't believe they can because they have a family. Some people have one kid. Others have three kids and a dog. And plenty more don't have kids right now, but know they will want them in the future. Can a family live in a tiny house? How many people can you fit comfortably inside one? How would everyone get enough privacy? These are the kinds of questions I'd like to answer in this article. 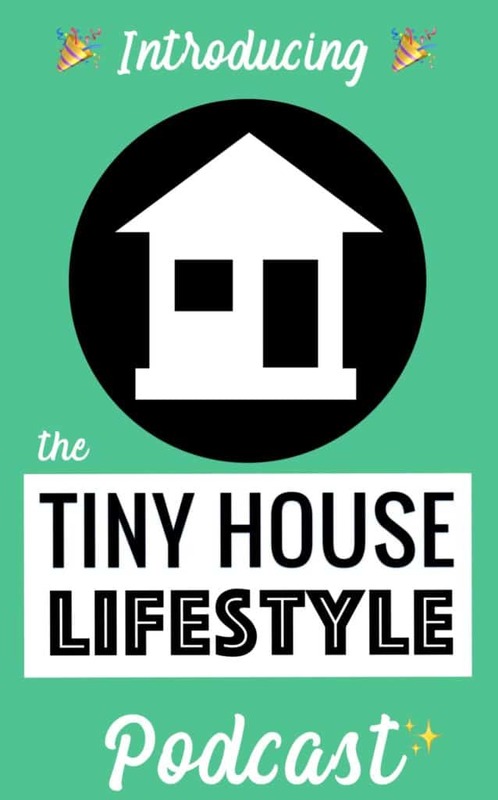 As unlikely as it might seem, there are plenty of tiny house families out there, enjoying the tiny house lifestyle. Many of these families are small but there are definitely some bigger ones. And some with pets. 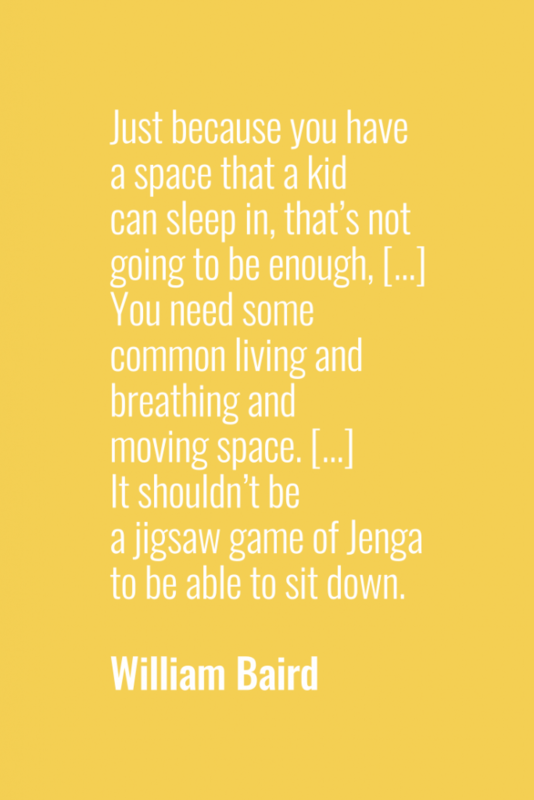 And others with parents, and babies, and even introverts! 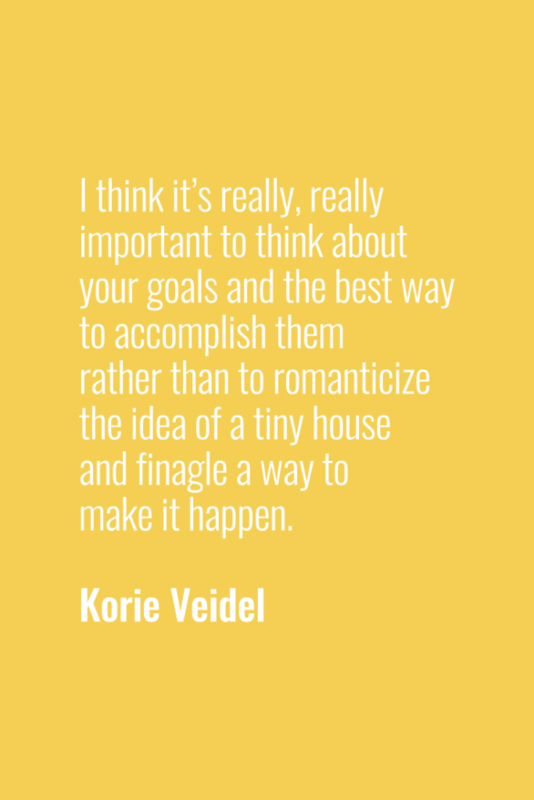 If having a family is the only thing holding you back, prepare to be inspired and to understand the reality of living in a tiny house with a family. Hari and Karl Berzins and their children, Archer and Ella, moved into their tiny house in May 2011. 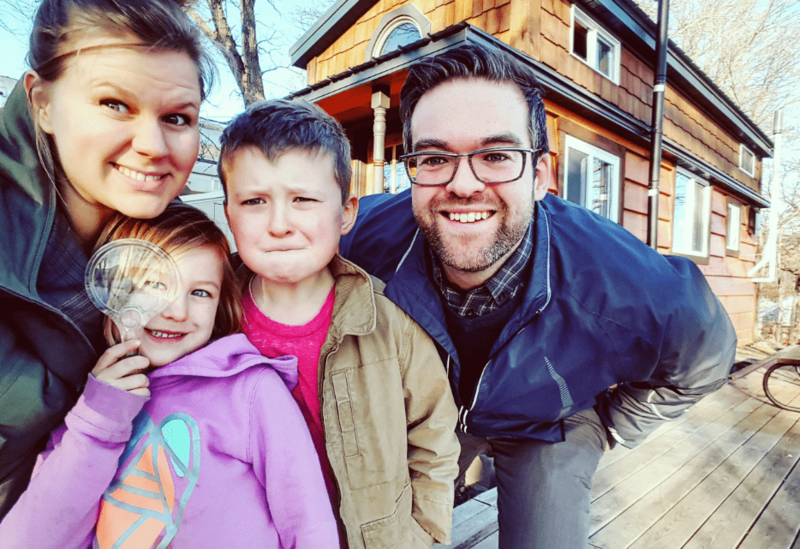 Their goal was to live a simple and debt-free live while they built their bigger and mortgage-free house (which they moved into in 2015). What's their tiny house like? 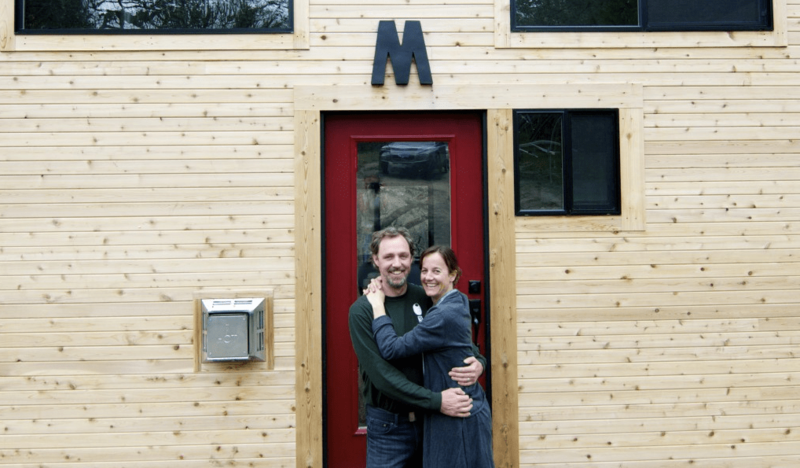 The Berzins' tiny house is built on an 8'x21′ trailer, which means it's 168-square-foot. The house also has two sleeping lofts. 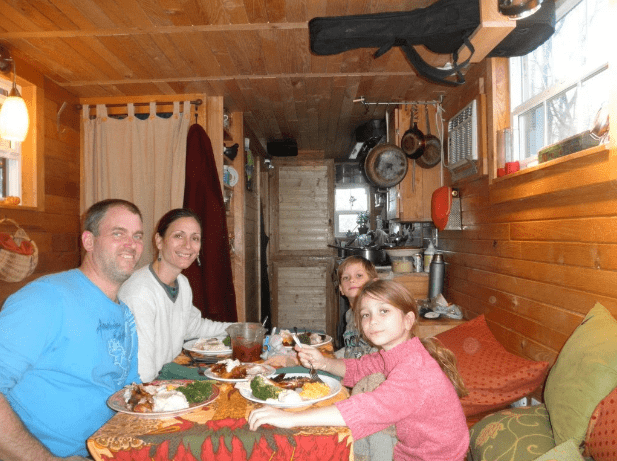 What's it like being a tiny house family? It took a while for the family to get used to living in a tiny house, both physically and emotionally. To start with, they bumped their heads and knocked into each other all the time. 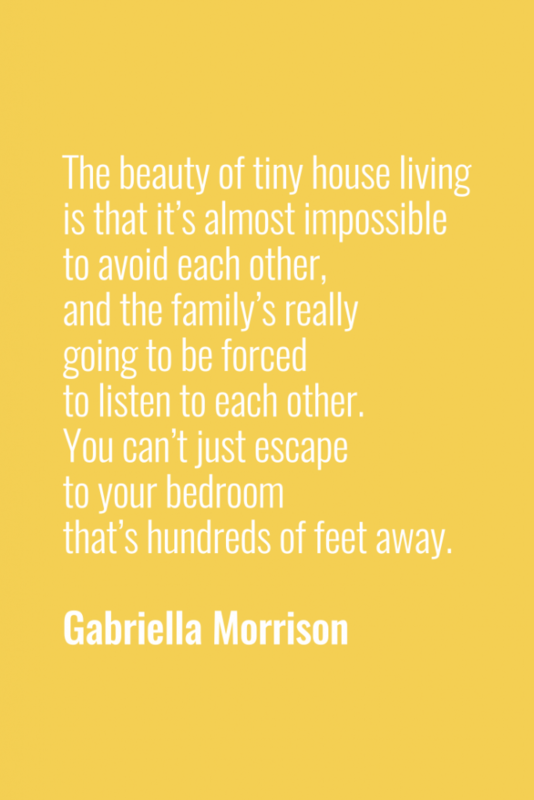 And living in such a small space felt like putting a microscope on their relationships. But they got used to the space and focused on improving their communication skills. For them, this lifestyle is a practice in making room for patience and peace. Where can I find out more about this tiny house family? In 2014, Kim, her partner, and their two kids, Sully and Story, moved out of their 2000-square-foot house and into a tiny house. They also live with their dog called Brink. 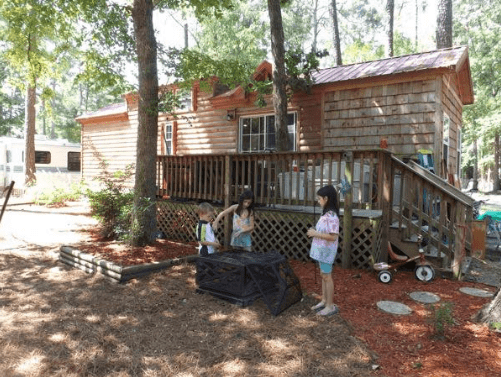 This family's tiny house is 267 square feet and parked next to a lake. The house has two lofts and a catwalk lined with bookshelves and hundreds of books. Thanks to their tiny lifestyle, this family now gets to live on one income. This frees them up to homeschool the kids and spend lots of time pursuing their passions and going on adventures. Alex and Korie live with their eight-month-old son. In the future, they plan to buy a small house and renovate it to turn it into the house of their dreams. This family's tiny house is 8'x18′ with a 3'x8′ storage loft and a 7'x8′ sleeping loft. The couple bought it in October 2014 and live in it on a family member's property. They also share a garage, which they use to do their washing, store some items including a freezer, grow plants, and so on. The family enjoys being debt-free but living in a tiny house with a baby definitely has its downsides. Abel is a light sleeper and it's difficult to be completely silent in such a small space with no internal doors, so it can be hard to get him off to sleep. William and Laura live with their twin daughters, Jasmine and Jessica, their son Evan, two cats, and a hamster. The Baird tiny house is a 440-square-foot cabin on wheels that's parked on a campground in South Carolina. The family converted the front porch into a bedroom, installed bunk beds for the twins, and turned the loft into their son's playroom. 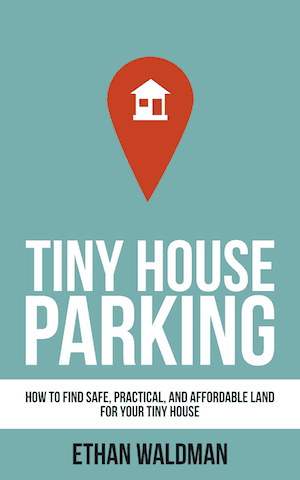 Tiny living has brought this family closer and taught them how to compromise. It's made them understand the importance of privacy, which they get from insulated interior walls and separate sleeping spaces. Andrew and Gabriella are the creators of hOMe. They have two children – one teenager and one young adult. Their youngest lives with them and their eldest stays with them sometimes. The Morrisons have turned their land into a kind of tiny house community. The couple lives in a 207-square-foot tiny house and each of their children has their own cabin too. Their daughter's cabin is 120 square feet and their son's treehouse is 160 square feet. Their hOMe is the family base, where everyone spends most of their time, and sometimes the kids sleep in the loft rather than in their own cabins. Gabriella has said she wouldn't trade her family's experience of tiny house living for anything. Her children are also proud of their lifestyle. It's enabled them to spend more time and money on travel and each other. 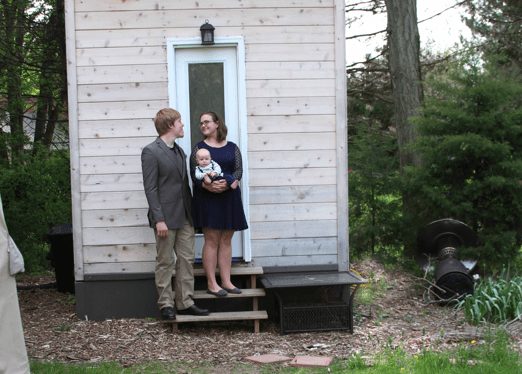 Although this family doesn't all live in one tiny house, Gabriella is confident that living in a tiny house with a teenager would be possible. She doesn't believe it would be a great idea with two teens though, and believes giving responsible teenagers their own space is a great solution. 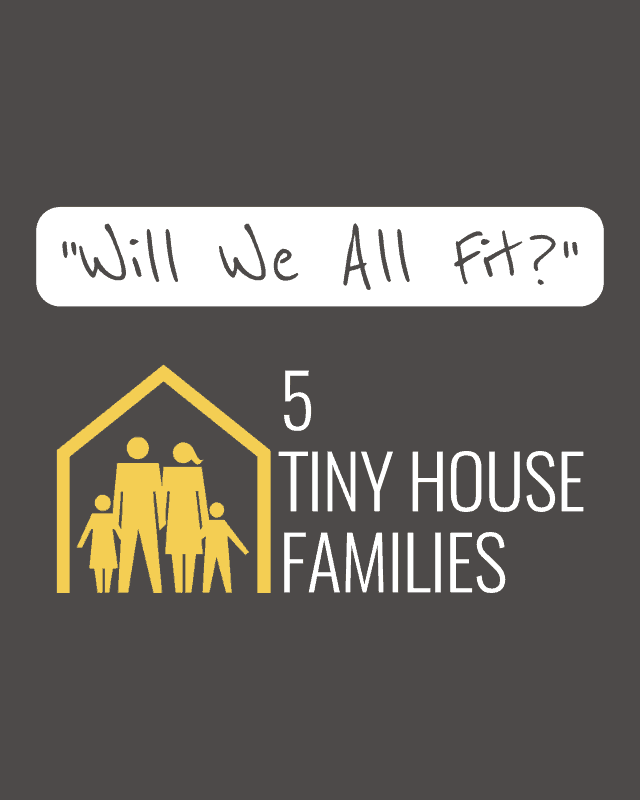 Could Your Family Go Tiny? 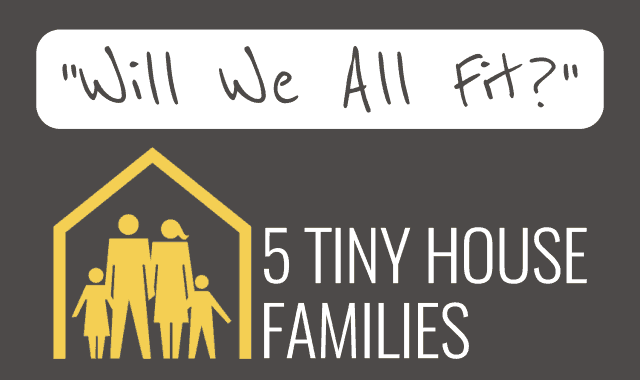 As we've seen, it's certainly possible to live in a tiny house as a family. And while doing so definitely requires some sacrifices from everyone involved, it also comes with some upsides. But only you and your loved ones can decide whether or not tiny house living is right for you. 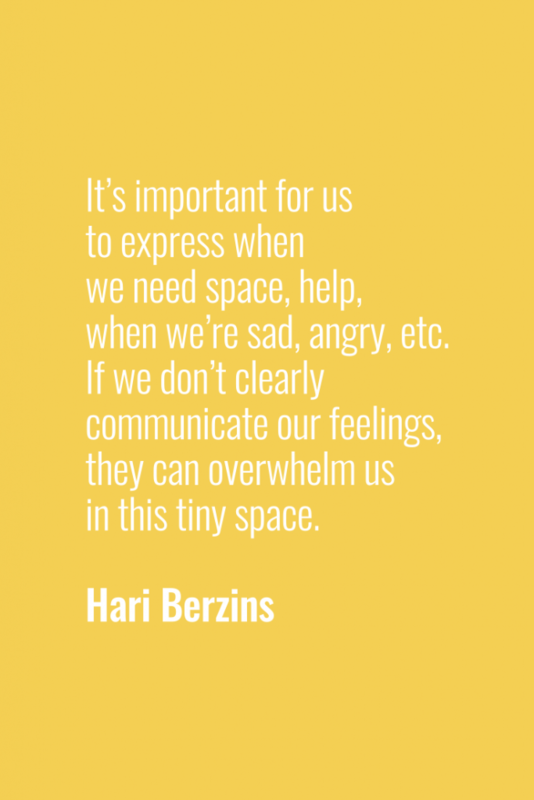 Talk to each person and find out how they feel about the idea. Do a trial run if you can, whether that means staying in a motorhome for a week, moving your kids into the same bedroom for a month, or vacationing in a tiny house. Be sure that the reality is right for all of you. 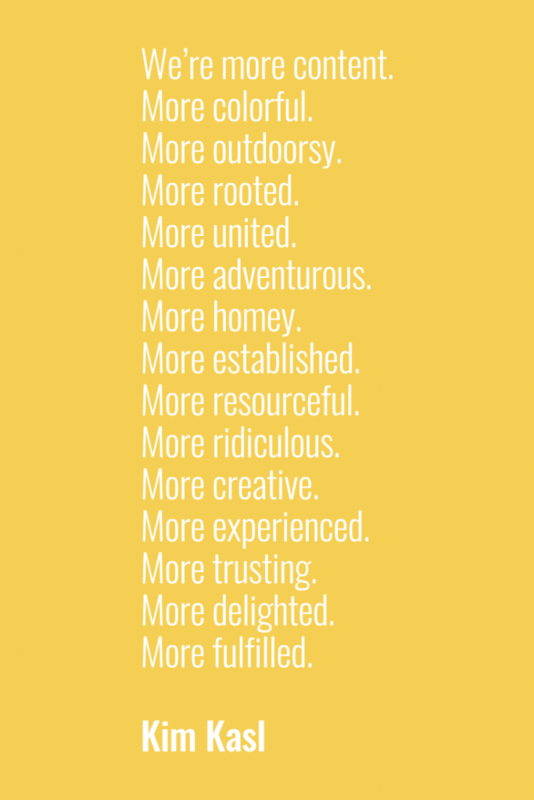 And if you decide that being a tiny house family isn't right for you, there are plenty of other options. 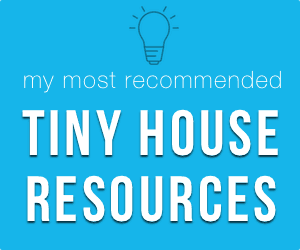 Look at some alternatives to tiny houses and consider how you could get the practical and psychological benefits of tiny house living in other ways. Do you have a family? 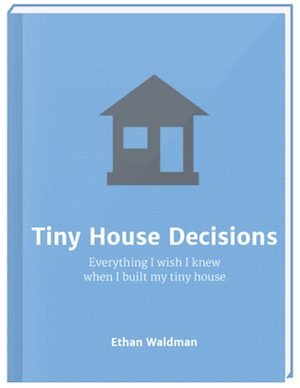 Have these case studies convinced you that living in a tiny house with several people is possible? What other concerns do you have?